The Missouri Supreme Court recently denied a move by Johnson & Johnson to move lawsuits alleging that the company’s talcum powder caused ovarian cancer from St. Louis courts to Federal courts. Johnson & Johnson argued that, of the roughly 2,000 plaintiffs with cases pending in Missouri court alleging its products’ relationship with ovarian cancer, most are not residents of Missouri. Although this is allowed under Missouri law if the cases are presented along with that of a state resident, Johnson & Johnson made the out-of-state plaintiffs a focus of its move by filing a petition for writ of prohibition. The petition concerned a talcum powder lawsuit whose trial was slated to start on February 6, 2017. The lawsuit was filed by Nora Daniels, 56, of Tennessee. It alleges that her ovarian cancer was caused by talcum powder in Johnson’s Baby Powder. The Missouri Supreme Court denied the petition. The company also believes that other jurisdictions have more favorable regulations for the admissibility of expert testimony important to its case. Multiple lawsuits have been brought against the company claiming that it did not warn women about the risks of developing ovarian cancer if they used products containing talcum powder. The specific products are Johnson’s Baby Powder and Shower-to-Shower. The claims further allege that Johnson & Johnson kept marketing these products to women despite their knowledge of the evidence that talcum powder use was linked to ovarian cancer. St. Louis courts awarded significant damages to plaintiffs in separate bellwether lawsuits against Johnson & Johnson during 2016. Last February, $72 million was awarded; last May, $55 million was awarded; and last October, $70 million was awarded. Not only were the amounts large, but they combined compensatory damages from the jury to the victims and punitive damages from the judge to the company as sanction for unacceptable behavior. Punitive damages are designed to deter companies from acting similarly in analogous cases. A minimum of six more ovarian cancer bellwether trials involving Johnson & Johnson are set for this year. 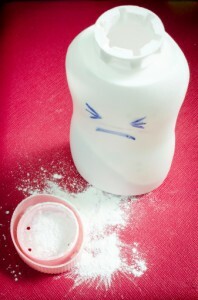 A federal multidistrict legislation (MDL) has centralized multiple talcum powder lawsuits in New Jersey before U.S. District Judge Freda L. Wolfson. MDLs exist to pare down duplicative discovery into issues the cases possess in common. The centralization also exists so that the evidence may be tried against Federal rules and to assess whether juries in a different jurisdiction draw different conclusions from evidence and testimony. The U.S. Judicial Panel on Multidistrict Litigation (JPML) set up the MDL late in 2016. So far, the Federal bellwether trials have not been scheduled.